Here is the blog sale is up now ! Here are the list of Pre-booked items already ! Etude house 007 the darker one. 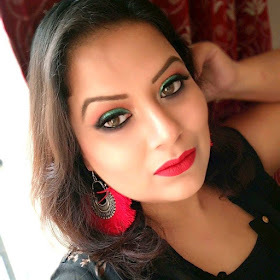 Lakme Satin Lipstick in shade 129. Oriflame dual end eye pencil in blue. Oriflame lipstick in cherry compote. I prefer NEFT/online transaction but in case if you want to do cash deposit in my bank ,you have to pay Rs.10 extra as my bank charges extra for cash deposits.